New Delhi, May 22, 2018: Centre for Science and Environment (CSE) will soon be launching the first of its six modern residential training schools under its newly established facility, the Anil Agarwal Environment Training Institute (AAETI). 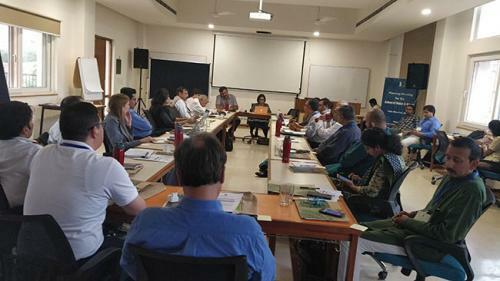 The School of Water and Waste is being designed as a one-of-its-kind capacity-building hub for urban water and sanitation for India and the Global South. 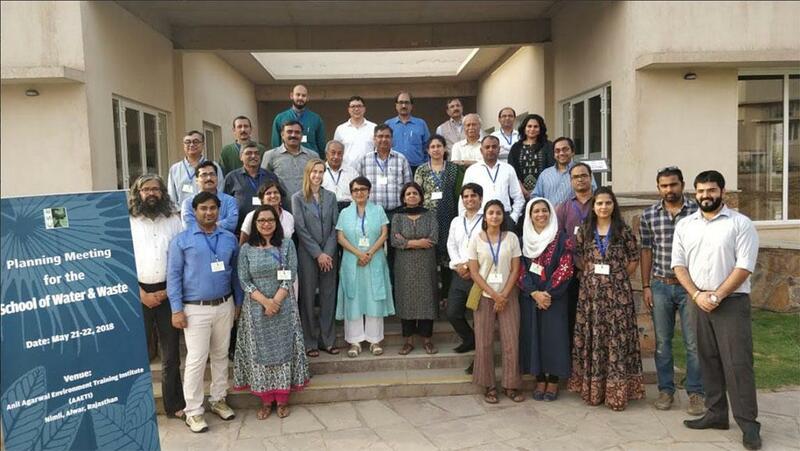 A two-day planning meeting, involving experts from India and other countries, was held on May 21-22, 2018 in CSE’s AAETI campus in Nimli (Rajasthan). The meeting deliberated on conceptualising the School, and its courses, curricula and faculty. The meeting also focused on identifying knowledge and skill gaps in the area of city-wide water and sanitation management. The School will be the first of its kind in India, and will offer inter-disciplinary, trans-national, practice-based courses. This approach will make participants question the excessive focus on technical aspects such as engineering, finance, planning and politics which affect the management of water and sanitation. Questioning of fundamental assumptions will help in bridging the gap between what a community might want and what the planners think they need. “An effective, sustainable urban water management process involves preserving ecological integrity of water-supply systems, wasting less water, allowing fair access to supply systems and giving people a say in how water resources are to be developed and used,” said Suresh Rohilla, programme director, Urban Water Programme, CSE, at the meeting. The School will include a unique referral laboratory on septage management, which will test different tools, approaches and efficiencies of various decentralized wastewater management systems. The Anil Agarwal Environment Training Institute, a full-fledged residential training and research campus developed by CSE in Nimli, near Alwar, in Rajasthan, became operational this year. The facility will house six premier centres of learning – its Schools – and concentrate on building capacity of regulators, environmental managers, activists and communicators on issues of environment and development. To know more about AAETI and its resources, please contact Parul Tewari of The CSE Media Resource Centre, parul@cseindia.org / 9891838367.